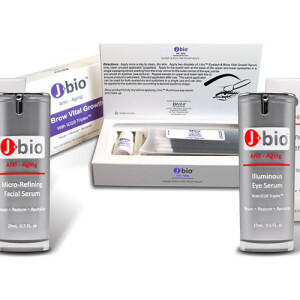 Restore your skins youthful glow and luminosity encouraging the a firmer and smoother complexion with more even skin tone, while diminishing fine lines and wrinkles and reducing the appearance of sun/age spots and hyper-pigmentation. 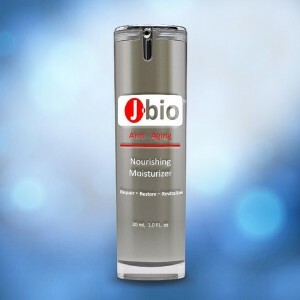 Additionally the surface of the skin has shown to appear more moisturized for an instant plumping and smoothing effect. View Cart “Intense Jump Start” has been added to your cart. Select "Auto Ship" to have this product automatically shipped to you at a discounted price of $88.19 / month. This is the most amazing facial product I have ever used. I have been using it twice a day for over 3 years and people keep telling me that I’m looking younger and younger. I have almost no wrinkles. I turned 71 in November of 2015 and people have no idea how old I am. It’s also the quality of the skin itself that looks great. I have told all my friends, including men, about it. They rave and come back for more. From what I have learned it was created for burn victims. 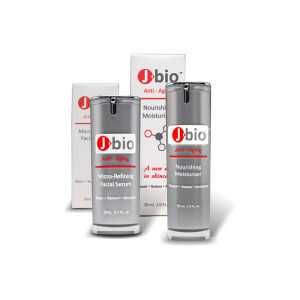 It has human stem cells in it that talk to my skin cells. They repair what can be repaired and sluff off what cannot be repaired. Somehow it treats wrinkles like burns. After I smooth it on my face I rub the back of my hands with the excess… just so my hands continue to look youthful as well. A stuntman friend of mine was sunburned beet-red because of being in the sun for too long. 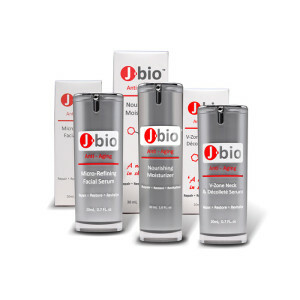 I immediately slathered on the Jbio Facial Serum and the red discomfort went away within two minutes. He was blown away that it left so quickly. 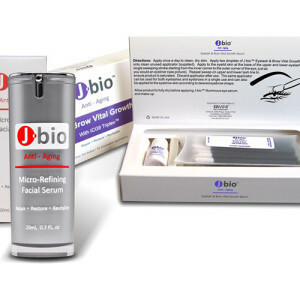 He started using it on his face and several months later he could not find an old scar that had been over his left eyebrow. BTW – it’s very light going on the skin. It absorbs quickly… almost like I have nothing on. My friends who try it call to thank me and order more. 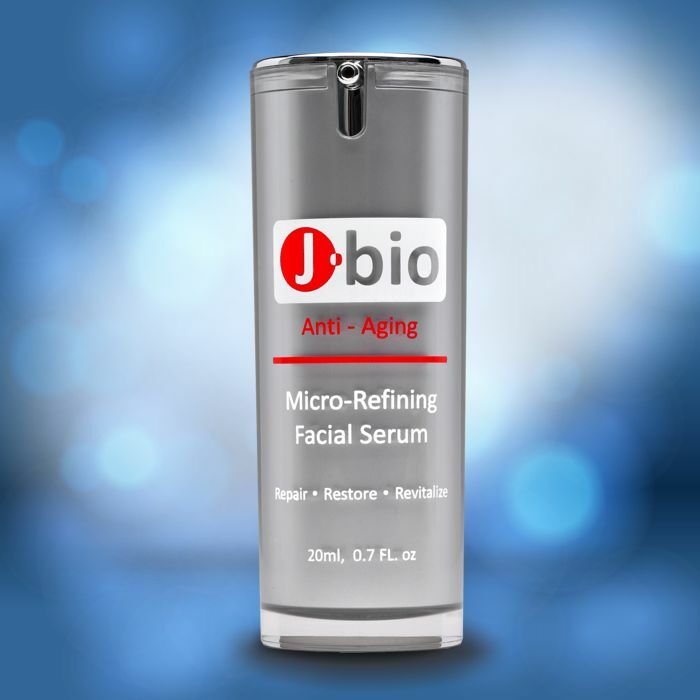 At 49 years old my skin continues to be thick and plump-no doubt due to Jbio’s growth factors that are involved in collagen and elastin production. 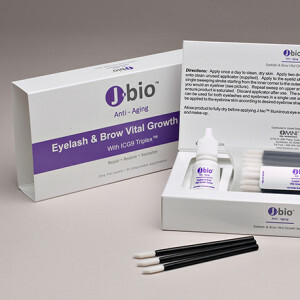 Even my dermatologist noticed and asked me what I was using on my skin! 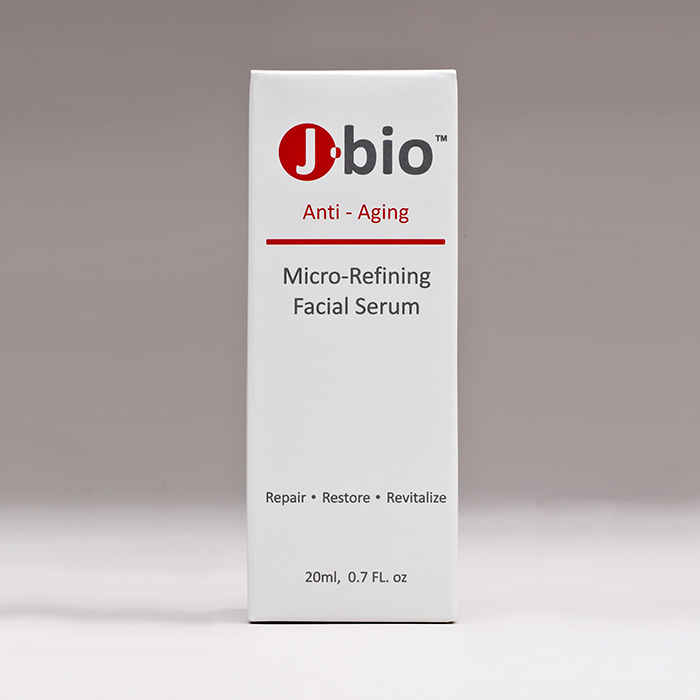 I am concerned about what goes into the products I use and I love that Jbio serums are paraben free and considered all natural products. 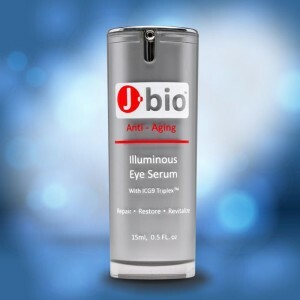 I really can’t say enough about this serum. I don’t think anyone who tries it will be disappointed! 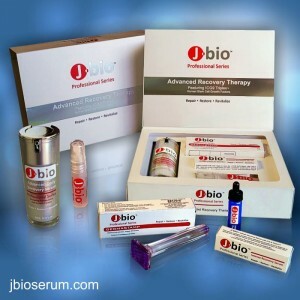 I have been using the Jbio serum for over one year. All of the rosacea on my cheeks and chin have disappeared. Everyone tells me how young I look and ask what I have been doing. 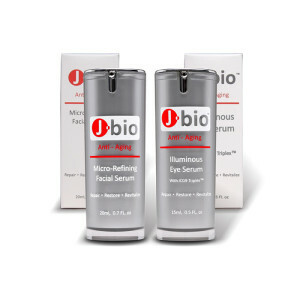 My teenagers have also used the serum for their acne and their complexions have improved dramatically. 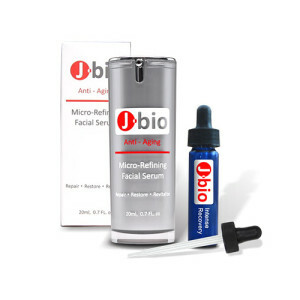 I highly recommend these products for anyone who wants to maintain a youthful appearance as they move into their fifties and sixties! Fabulous product! I highly recommend it… Being in my mid forties prevention and preservation are key to growing old gracefully! This product does both of those things. This is a fantastic product! I’ve been using it for a few years and get compliments on my skin by strangers! It’s crazy because I never had great looking skin, but with the help of this product my skin glows, I have reduced wrinkles and better elasticity. I highly recommend this product! I’m still using it and now my boyfriend has asked me to get a bottle for him. No.. he INSISTED he get a bottle for him, because he tried mine. 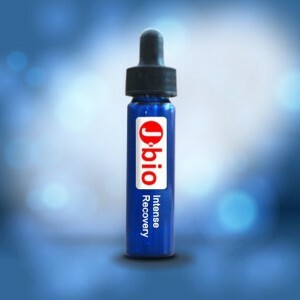 This is an amazing product. Gently press the pump to dispense one drop onto clean fingers. Lightly spread over clean skin on the entire face. Use two pumps for the for neck and chest areas. 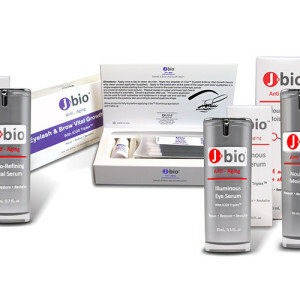 Moderate skin renewal may occur within two weeks, but optimal improvement to skin is usually seen after six weeks of daily use. 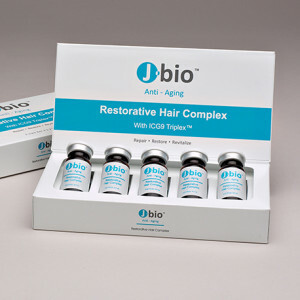 Proprietary ICG-9 Triplex™ Human Fibroblast Conditioned Media, Water (Aqua), Glycerin, Polysorbate 20, Cellulose Gum, Tetrahexyldecyl Ascorbate, Tocopheryl Acetate, Lactic Acid, Citrus Aurantium Bergamia (Bergamot) Fruit Oil, Phenoxyethanol, 1,2-Hexanediol, Caprylyl Glycol.